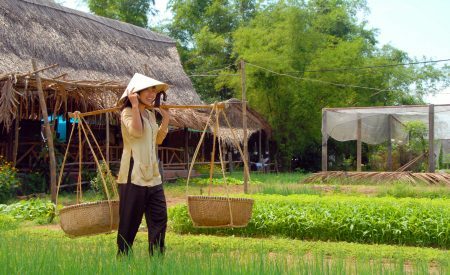 A 8night/9day tour to discover Vietnam (Hanoi, Ha Long Bay, Da Nang, Hoi An, Mekong Delta, Saigon) and Cambodia (Siem Reap, Angkor Temple). Staying at Four Star Hotels with meals and guide. Trip include the best attractions of Hanoi, Hoi An, Ha Long Bay, Siem Reap, etc.. 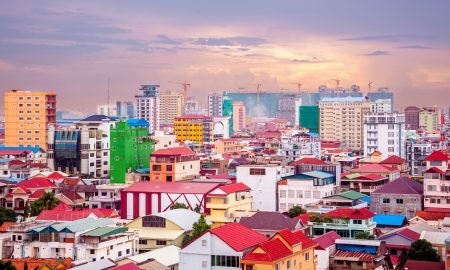 This tour brings you to all highlighted attractions in Yangon and nearby famous cities. Not only including spectacular natural sightseeing, the tour also takes you to numerous magnificent pagodas and huge Buddha images such as Shwedagon, Golden Rock and Shwethalyaung. This tour with Far East Vacation guarantees to leave you with fantastic moments and unforgettable memories of Myanmar! 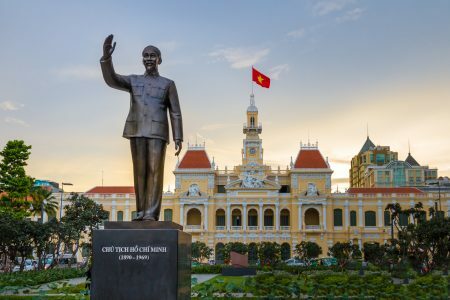 This Vietnam Highlights is inspired by the sight of Northern Vietnam, not only about visit the fantastic sights and attractions, but also gaining knowledge of the country and Vietnamese cultural and it’s amazing people as well. The “Treasurs of Myanmar” is one of the most favorite packages of Far East Vacation. Take this wonderful opportunity to experience the “Golden Pagoda Land” Myanmar. Myanmar with its famous and sacred pagodas such as Shwedagon pagoda and Sule Temple. Highlights of the tour include visiting Ngapali – the most beautiful and famous beach of Myanmar. The tour guarantees to bring you great memories and high satisfaction! This tour contains all the fascinating landscapes of the “Golden Pagoda Land”. Pay homage to Buddhism as well as admire magnificent pagodas in Yangon and Bagan. Visit colorful villages in Mandalay or take boat trips along the beautiful rivers. 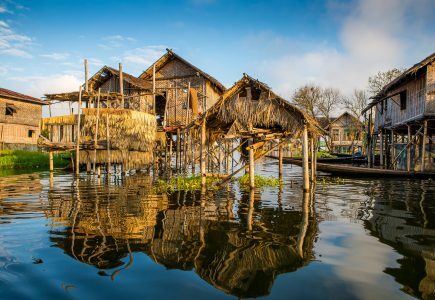 See a fascinating Inle with its unique one-leg rowing on the peaceful Inle Lake which is 900m above the sea level. This tour from Far East Vacation will leave you with the best memories of the nature and culture of Myanmar! Uncover the secrets of Cambodia’s mystical Angkor Wat during three full days of exploration and adventure. Investigate the sacred temples and explore from Angkor Wat to Ta Prohm with a knowledgeable local guide. Be awed not only by the ruins but by stories of god-kings and lost civilizations, ancient mythology and fascinating folklore. Trek through the dense, steamy Cambodian jungle to admire Hindu sculptures that were carved into a riverbed over a thousand years ago, sample plenty of spicy Khmer dishes and meet locals who reside in stilted villages atop Tonle Sap. This is the perfect addition to any vacation in Cambodia. 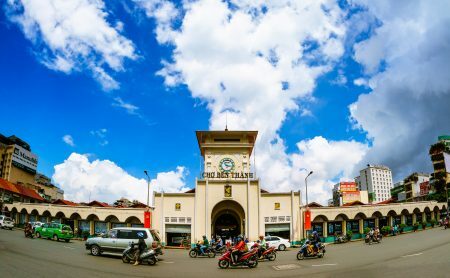 This Northern Vietnam Vacation is inspired by the sight of Northern Vietnam, not only about visit the fantastic sights and attractions, but also gaining knowledge of the country and Vietnamese cultural and it’s amazing people as well. This vacation is one of the best Vietnam Vacations. North Vietnam To Angkor Complex Vacation is designed by FarEastVacation.com to bring customers a memorable vacation and visit to all the highlights of two countries. Come to travel with FarEastVacation.com, customers will have a opportunity to experience the real cultures and famous UNESCO’s heritages, adventure the stunning landscape on mountainous regions, and relax in peaceful bay on a traditional wooden Junk. 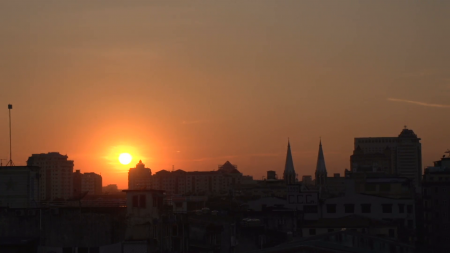 “Myanmar Highlights” is the best tour package for those who love to see a fascinating Myanmar. Not only including spectacular natural sightseeing, the tour also brings you to numerous magnificent pagodas and huge Buddha images. Experiencing both activities on water and land, getting a deep feeling of Burma’s nature and local culture, this is definitely one of the most interesting tours of Far East Vacation!